During last week’s Budget Speech, the Finance Minister, Hon Edward Scicluna, announced that the Malta Stock Exchange (MSE) and the Ministry of Finance established a committee in order to draw up a road map with the aim of strengthening and developing further the local capital market. The Minister revealed that this panel of experts already initiated discussions on the road map which is being drawn up with particular reference to the upcoming EU regulations and directives as well as the creation of a new Capital Market Union by the European Commission. The formulation of a strategic plan for the MSE is a welcome development. It comes at a very delicate stage for the local capital market. As I have documented in recent weeks, following the delistings of both Crimsonwing plc and very shortly Island Hotels Group Holdings plc, only 20 companies now have their shares listed on the Official List of the MSE. Given recent announcements by various companies, unfortunately others may suffer the same fate and this would lead to a further downsizing of the equity market. Given the above and the fact that listing fees represent the major source of revenue for the MSE, a plan to increase the number of equity listings should be among the priorities in this road map. The last public offering on the equity market was that of Tigne Mall plc in 2013 and prior to that Malita Investments plc in 2012. The addition of only two companies in over 3 years is far too little progress. The lack of new equity issuance may also be due to some regulations which may be too rigid for the structure of certain local companies and these ought to be revisited to instigate more companies to go public. In the 2016 Budget Speech, the Minister of Finance also mentioned that over the past two years the MSE has been working on the setting up of a new regulated platform, whereby small and medium sized enterprises (SMEs) can have more efficient access to finance when tapping the local market. This initiative, branded ‘PROSPECTS’, is also aimed at assisting in the necessary succession planning in such companies. However, no target date was mentioned by the Finance Minister on the planned launch of this junior market and in my view, its success is questionable if no tax incentives are offered in connection with listings on such a market. Another important revenue source for the MSE is the fee earned on the value of trades that take place across the equity market, the corporate bond market as well as that in dealings across the various Malta Government Stocks. This is naturally directly linked to the number of listings across the various asset classes. Although equity market trading activity has increased considerably during the first nine months of 2015 and the best ever Q3 was witnessed since 2006, this volume may not be sustainable if the number of companies listed on the MSE decrease. Meanwhile, there was a higher degree of success in growing the corporate bond market although given the huge liquidity across the local financial system, many more companies can easily utilize this alternative source of funding. In my view, in order to ensure a higher degree of success in growing the local capital market, the privatisation of the MSE, through the introduction of a strategic partner and the participation of market participants (MSE members), is fundamental. This should feature high on the ‘to-do list’ of the panel of experts devising the roadmap. Privatising the MSE had first been mentioned almost 10 years ago when the then Chairman of the MSE, Mr Joseph Zammit Tabona, had explained that the corporate restructuring exercise that was taking place in 2006 was also necessary to enable the privatisation of the MSE through the possible involvement of a strategic partner. In November 2008, the Finance Minister of the time had announced that the Government was seeking a strategic partner for the MSE. A few months later it was reported that the MSE had commissioned Ernst & Young and a study was concluded “aimed at seeking new ways of attracting more companies to listing, as well as to outline what options are available for closer relations with strategic partners”. Unfortunately, the global financial crisis disrupted the plans but once markets started to recover and merger and acquisition (M&A) activity was rife among global bourses in 2011, the Government of the time had seemingly failed to reactivate this intitiative. It is becoming increasingly accepted that nowadays, governments should concentrate on formulating policy and regulation whilst relinquishing day-to-day operational activities in key entities across most sectors. It has been very evident, both locally and internationally, that the private sector is much more efficient than the public sector at managing companies and achieving financial and strategic objectives. This should be no different for the MSE. The present Government introduced a strategic partner for Enemalta and is now acknowledging that the future of AirMalta is also dependent on a strong strategic partner to compete more effectively and ensure long-term financial stability. Likewise, an international strategic partner of repute should be viewed as the long-term solution for the Malta Stock Exchange. One way of increasing the number of equity and bond listings for the benefit of savers and investors is by attracting small international companies to consider the use of the local capital market since their size may be a deterrent for a listing on a larger international bourse. While this had been briefly mentioned in the past by the MSE itself, no tangible results have been achieved to date. The introduction of an international strategic partner can be instrumental in attracting foreign companies to the local bourse. 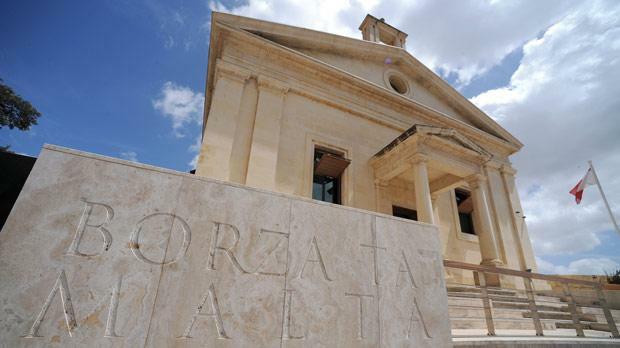 Moreover, the experience of a renowned player can also be vital in proposing measures to the local authorities to help many of the older-established Maltese companies to consider an equity listing as a means of resolving delicate succession planning. A strategic partner could also spearhead the introduction of other initiatives also mentioned in the past by the MSE such as ‘market making’ and ‘short-selling’ which have yet to come to fruition. Hopefully, the committee entrusted with the drawing up of the road map will consider these ideas alongside others coming from an appropriate consultation period with market participants. This would ensure that all stakeholders become involved in the important matters that need to be implemented for a more successful local capital market.